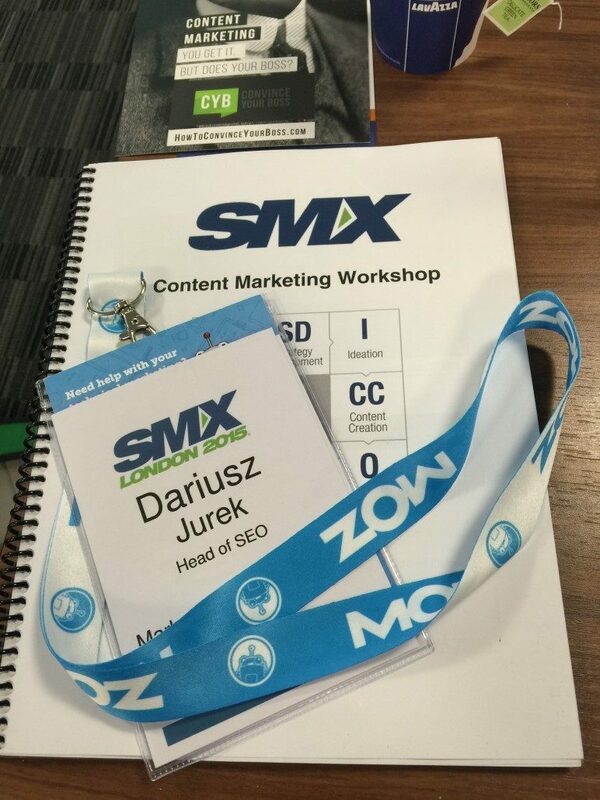 SMX London is one of a series of SEO and SEM conferences organized all over the world, whose purpose is to provide the participants with practical techniques and tips on how to improve marketing efforts on the Internet. Today it is normal that among major conferences there are trainings and workshops which can give you a lot of interesting facts about the actual marketing efforts. This is why I took part in the Content Marketing Workshop. The workshops were led by Arnie Kuenn, the founder and CEO of Vertical Measures. At his company he’s engaged in helping his customers generate profitable visibility growth on the Internet through content marketing. Arnie has been working in this field for about 20 years – e.g. he led marketing actions for Arizona Super Bowl in 2008 and he has founded the Arizona Interactive Marketing Association (AZIMA). Moreover, he is a frequent speaker at SMX conferences and a university lecturer. The workshop itself took place before the conference and can be praised for its great location in the centre of London, a small number of participants (approx. 15), which brought good climate for more loose talks and asking specific questions, as well as for the training materials that each trainee received. These included a bound presentation, a speaker’s book and a certificate confirming participation. The training was scheduled for a whole day, from 9 am to 5 pm, with networking breaks. The workshop plan covered 8 essential points: development strategy, formation of the main idea, content creation, optimization, promotion, distribution, lead maturation measurements. Everything was well thought out and clearly presented. So much for the theoretical information, let’s get to the more interesting part, so what the training has given me and whether it has given me anything at all. 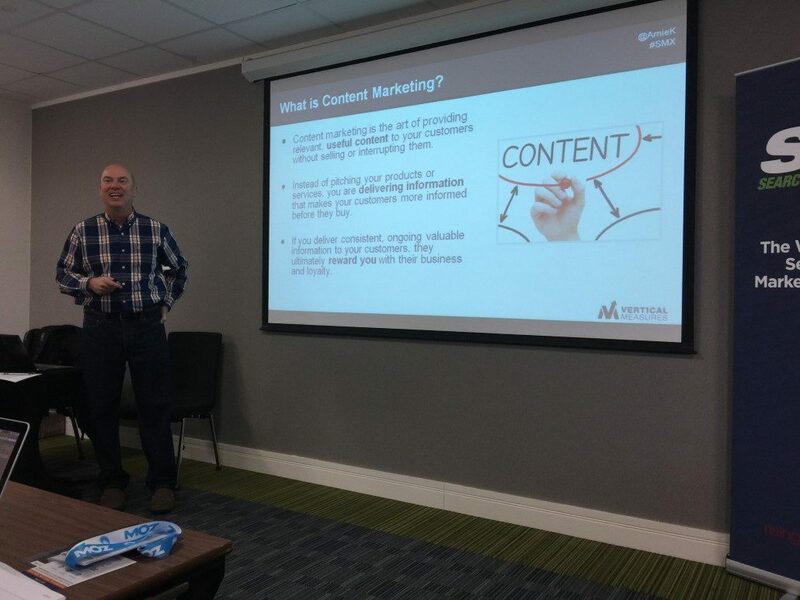 What did I gain from the content marketing training in London? 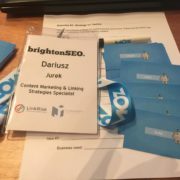 What is striking and confirmed in absolutely every training, conference or workshop held outside of Poland is the fact that you can see the differences between SEO in Poland and the foreign SEO. Furthermore, I now see that there is also a difference in the surfers’ behavior when using the search engine. In our country, the phrases typed into the search engine are very general – so much that the matched search results are not necessarily consistent. My reflection is that Poles often type something into a search engine mindlessly, without considering specifically what they want to find. In the US people often give 5-6 phrases queries – their questions are very detailed. It would be nice if someone used this idea and made a similar Polish version. I am convinced that all of us would benefit from it. Maybe it could be Whitepress, which is known for its innovative approach to CM…? Just suggesting ? As for me, it is an interesting and probably working solution which could help traders and marketing departments convince potential customers to invest in content marketing promotion. Let’s say straight away – it could bring particular investment, not just agreement on any action with a great result for the minimum possible price ? This site really describes all aspects and benefits of CM very broadly. These are very good arguments for marketing departments and retailers – they show very specifically what content marketing gives, how much it costs and how its effects should be measured. The site offers ready presentations and videos with the statements of famous people on content marketing and its importance in Internet promotion. And other similar extremely interesting news ? I will also mention that the role of video marketing was discussed fairly extensively during the training – interviews, reports, product presentations, humorous content, webinars, free trainings etc. It was also highlighted what harms content marketing campaigns – this issue was often overlooked during trainings I attended. They mentioned e.g. duplicate content, title and description, lack of thematical structure of internal links and anchor policy, as well as content cannibalization within the domain offer/blog. 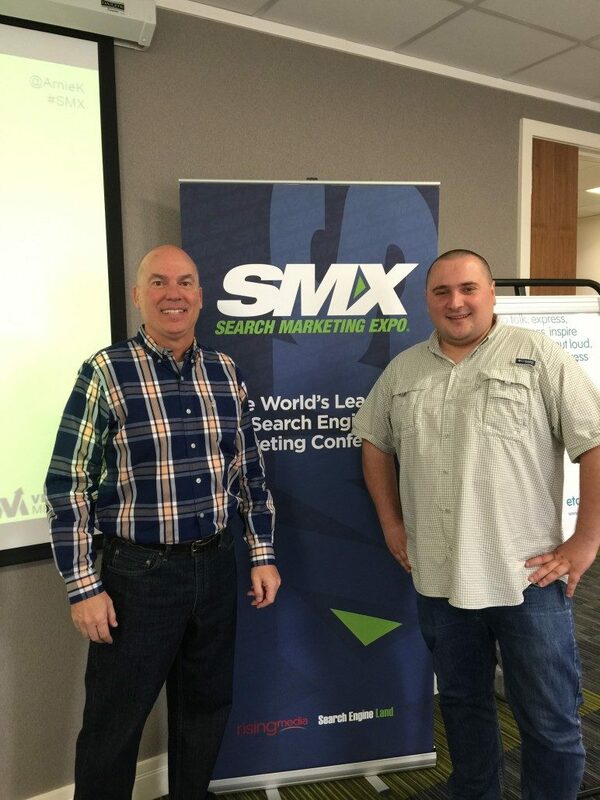 Am I satisfied with the Content Marketing training with Arnie Kuenn organized before the SMX London 2015 conference? I rather am – I will definitely be going back to the information I received and use some of it as well. It just so happens that I currently read a lot about this topic and draw knowledge from a variety of sources, which is why fewer and fewer things surprise me when it comes to CM. We try to start more and more activities of this sort for our clients, so all subsequent information from the meetings of this type is useful. Generally I recommend this training and yet now I invite you to peek at the blog – soon there will be the next reports. Not far from now, because on June 1, I am flying to the USA again, on SMX Advanced, where I will take part in the conference and – what’s easy to guess – in another training. So I invite you to visit the blog in a while.